Professional photographer Brad Nordlof has traveled the world in search of beautiful landscapes. His high-definition portraits capture a wide array of natural beauty, from aurora borealis and Colorado mountains to glowing cities and searing Arizona deserts. Water is a sustainer of life, and it’s a powerful attraction for both flora and fauna. It also has a way of drawing people, as it tantalizes our senses with the sounds of gentle trickles and rushing rapids, the sights of vivid sunsets, and the feeling of cool breezes and mists on our cheeks. Indeed, water plays an important, if sometimes understated, role in many of the world’s most beautiful, serene natural escapes. 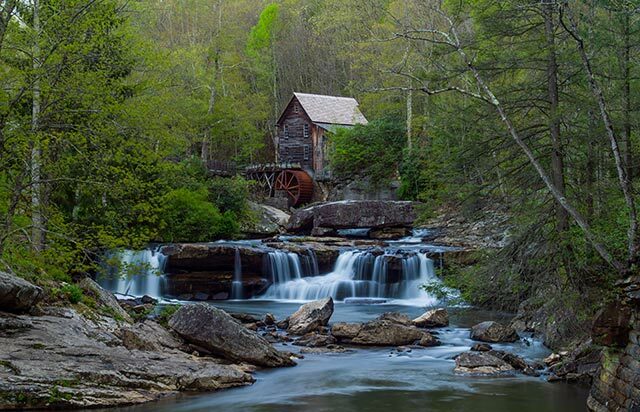 The iconic Babcock Mill in south-central West Virginia sits among 4,000 rugged, rolling acres of state park. Photographer Brad Nordlof captures many large-scale, panoramic scenes of the natural world. Using a high-powered, medium format DSLR camera, Nordlof carefully pursues his subjects. 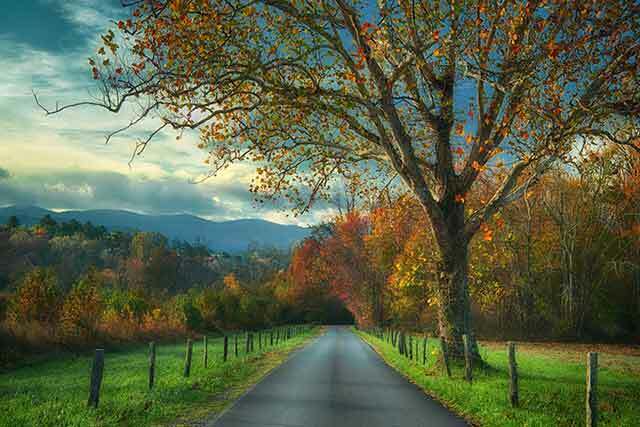 Guided by more than 40 years of experience, he composes his photos in vivid colors and textures. 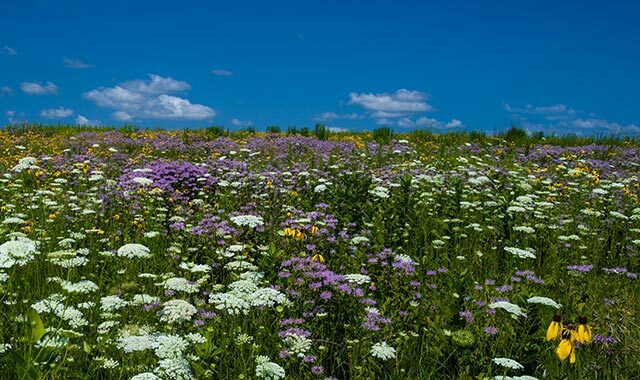 Landscape and fine art photography have long been a passion for Nordlof, whose studio, Northern Leaf Imaging, is based in Rockford. There, he prints and frames his artwork for display in professional and residential settings. Visit bradleynordlofphotography.com to learn more about his work or to contact him. Professional photographer David C. Olson produces wildlife images as he explores wild, sometimes remote places, at times risking his life in pursuit of his subjects. David Olson followed this wolf pack in northern Minnesota for more than a week, documenting how wolves raise pups. 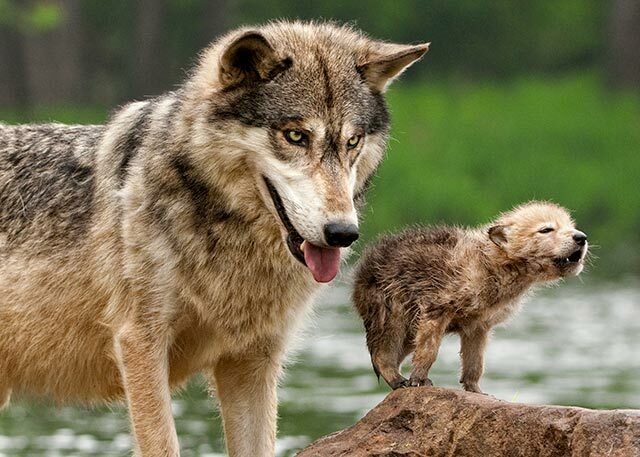 The alpha male was close to a young pup as it was attempting its first howls. 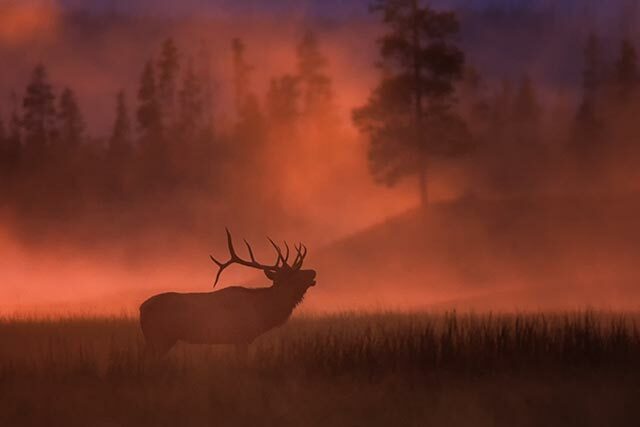 Olson often sets up before first light in order to capture his wild subjects, like this bull elk bugling at sunrise inside Yellowstone National Park, in Wyoming. Our forests are an essential part of our landscape. They provide not only beauty and respite, but also cleaning for our polluted air and habitat and food for mammals, reptiles and birds of all kinds. 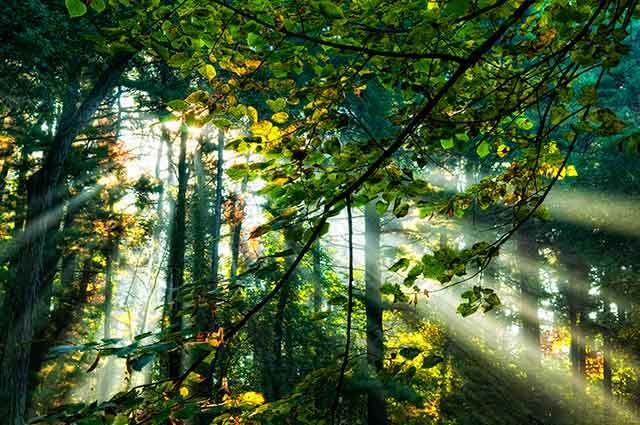 The morning light peaks through the canopy of a forest in Winnebago County, Ill. Photographer David C. Olson learned an appreciation for nature and photography as a young boy, guided by books and photographs about wilderness as well as parents who taught him to respect, love and preserve nature. 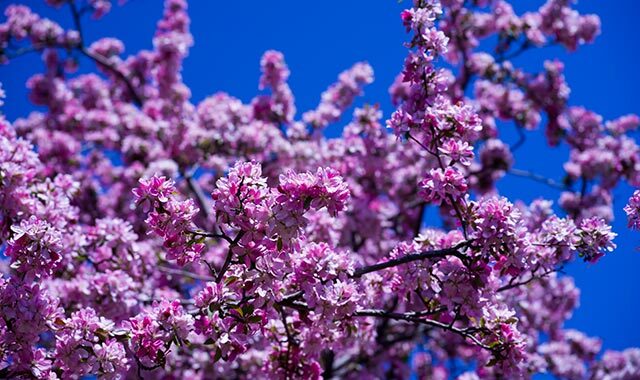 Today, Olson travels the world to capture the flora and fauna of our scenic landscapes. His works have been featured in many publications, including National Geographic Magazine and its 2017-18 Christmas cards. Based in a full studio at 5643 E. State St., in Rockford, Olson and his wife, Adrienne, together capture a wide variety of subjects, from families and high school seniors to weddings and wild wolves. The couple are planning several photography workshops during 2018. To learn more about the Olsons’ work, visit davidolsonphoto.com. This entry was posted on Tuesday, January 9th, 2018 at 11:58 am	and is filed under Features, Top Posts. You can follow any responses to this entry through the RSS 2.0 feed. Both comments and pings are currently closed.